It assists with depression and helps provide a restful sleep. Very effective for nervous anxiety, restlessness, and depression. Jasmine is beneficial for dry and sensitive skins. It has a stimulating, uplifting effect and is excellent for depression, and people lacking in confidence. It is a valuable uterine tonic, for menstrual pain and cramps. 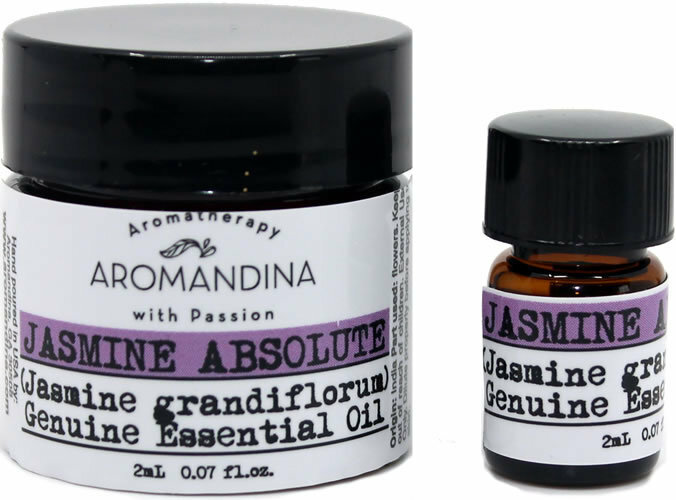 jasmine has a reputation as an aphrodisiac, due to its relaxing, antidepressant effects. For skin care: For dry, irritated, sensitive skin. Combine 15 drops of Jasmine, 10 drops of Frankincense and 10 drops of lavender with 4 oz of Jojoba Oil. Use it as your moisturizer day and night. For romance: Aphrodisiac. Combine with ylang ylang and cardamom and use it in a diffuser in your bedroom. For the genito-urinary system: Dysmenorrhoea, labor pains, uterine disorders. Add 5 drops to Women's Help Body Oil and massage your abdomen and lower back. For nervous system: Depression, nervous exhaustion, and stress-related conditions. Use in a diffuser, combined with Clary Sage, Orange, and Grapefruit.